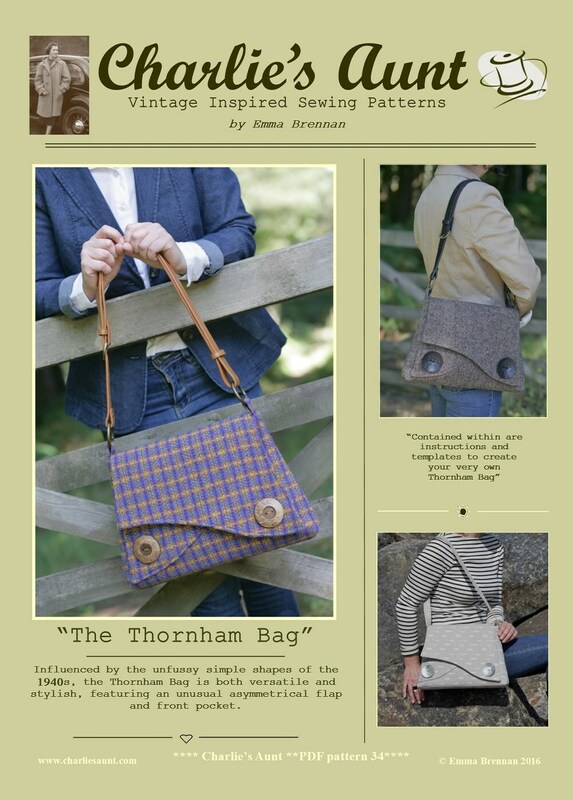 This is a PDF sewing pattern for the Thornham Bag. 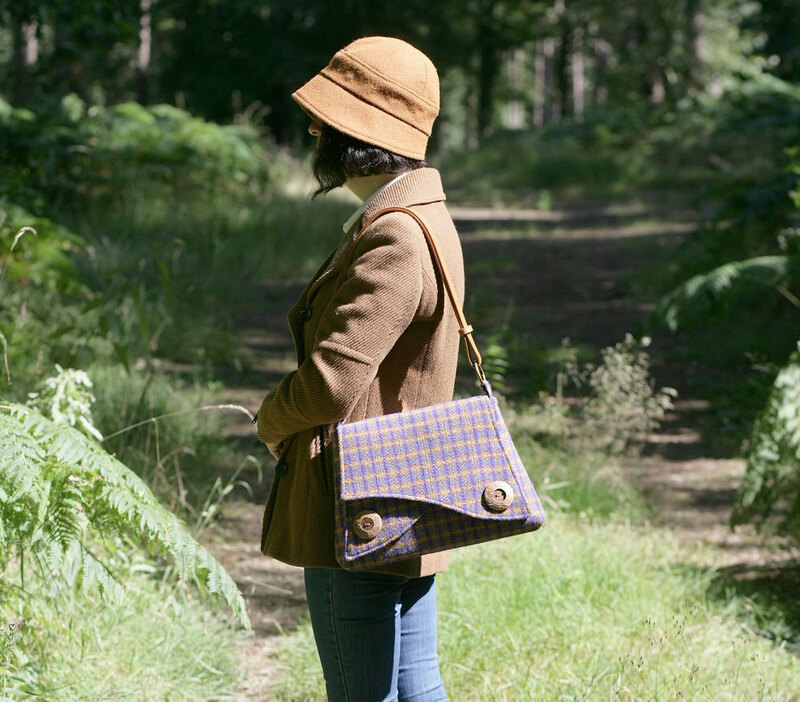 Influenced by the unfussy, simple shapes of the 1940s, the Thornham Bag is a versatile and useful style with a touch of period chic. 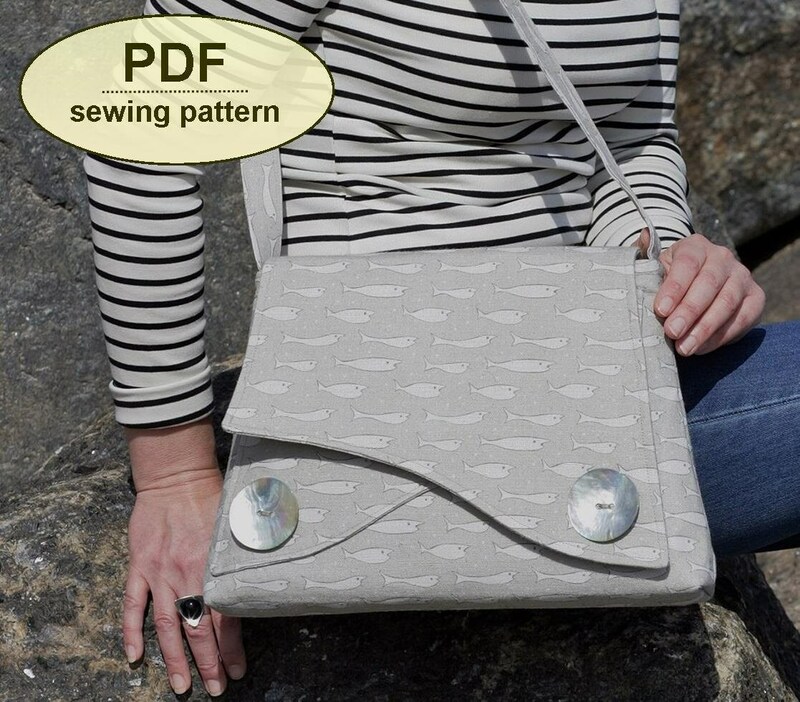 It is a practical size for all occasions and makes up well in a range of fabrics. 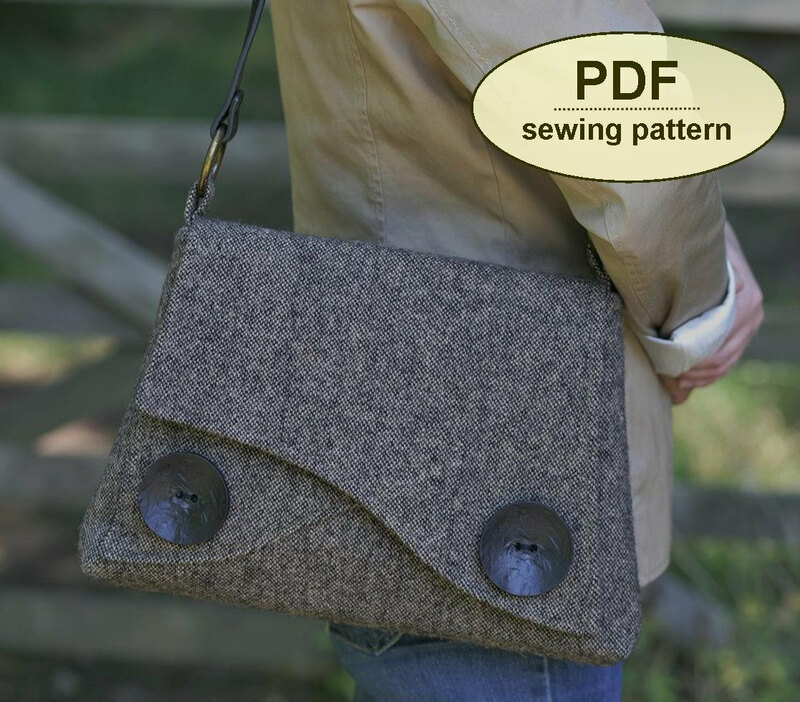 It features an unusual asymmetrical flap and front pocket which gives the impression of a double flap. he bag be made with a contrasting strap and pocket. The front pocket template also doubles as an interior patch pocket. 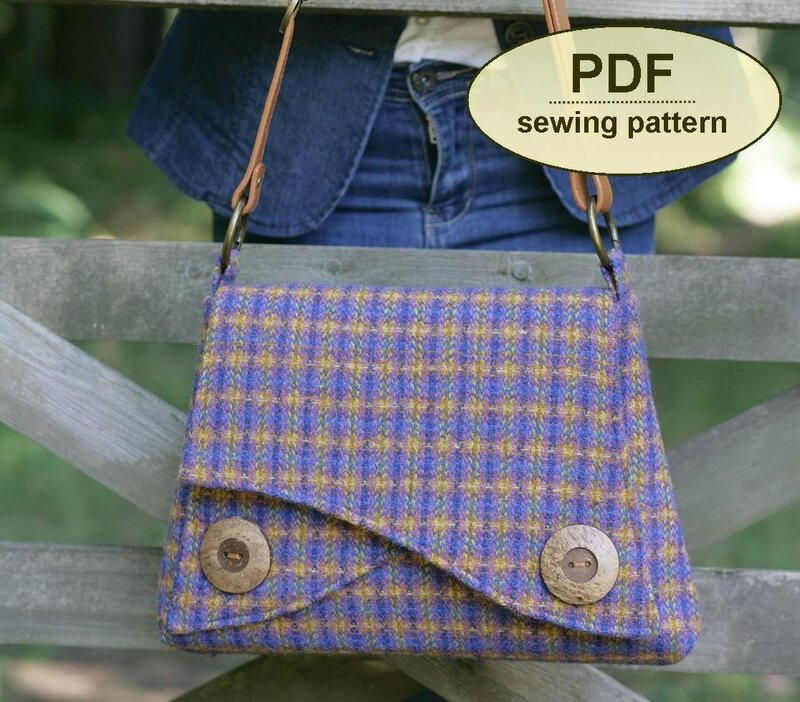 This PDF has 17 pages—10 pages including the cover, general, cutting out and step-by-step instructions, and 7 pattern sheets with the templates, which you must print and cut out. All of the templates are actual size. As the main templates are too big to fit on one sheet, you must cut out and tape these templates together where shown. Instructions for this are clear.